The need for monitoring agricultural and environmental parameters to protect all forms of life from exposure to hazardous chemicals has driven the adoption of advanced and intelligent sensor systems. The exploding population has made it necessary to ramp up agricultural yield, and tracking of soil and crop/plant characteristics has become vital. Fertilizer management is important to prevent fertilizer run-offs. With issues related to energy consumption, population and need to promote a cleaner and safer environment, sophisticated sensing technologies are explored and deployed for both agricultural and environmental monitoring applications. It is desirable to have multi-sensory systems, which would monitor multiple parameters of interest such as soil characteristics and environmental factors. Wireless sensor networks (WSNs) are gaining an increased momentum in the agricultural and environmental space. Lack of standardization; improving sensing system parameters such as sensitivity, specificity, and detection range; developing multi-sensory system, effective sensor fusion algorithms, and simulation tools are some of the challenges with regard to sensors used for monitoring agriculture and environment. Apart from these factors, the global financial meltdown has slowed market momentum, and difficulties could be encountered in commercialization, new product introductions, global expansion, employment strength, and so on. Going forward, the focus is on green technologies such as energy harvesting, which has proved to be a viable alternative to batteries in WSN applications. Solar-powered WSNs are used for agricultural and environmental monitoring applications. However, other sources of ambient energy, including wind, vibrations, and temperature could be used to power WSNs, and such technologies have to be actively explored. Though some of the applications leverage the benefits of WSNs and energy harvesting, widespread deployment in the target market is anticipated only during the medium and long terms. Nanotechnology-based sensing solutions are anticipated in the longer run. MEMS (micro-electro-mechanical-systems) based sensors are identified for detecting chemical and biological contaminants in the environment. Though the technology supports miniaturization and device integration, there has been skepticism about adoption. 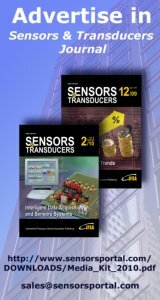 This Frost & Sullivan research service titled Sensors for Agriculture and Environment Monitoring reviews the factors that could influence the deployment of various sensing solutions in target markets. It also provides market data for wireless sensors, along with macroeconomic trends (current economic downturn). Some emerging technologies in the target markets are also discussed.